The Donna City Council parted ways with longtime fire Chief David Simmons last week as the city transitions into establishing a partially paid fire department. On Nov. 28, the city council hired a new fire chief —Cesario Araguz, a retired firefighter who worked for the McAllen Fire Department for 23 years and in Mission for a decade. Simmons, who was not fired, led the Donna Fire Department for 32 years, and was “disappointed” to have been replaced. 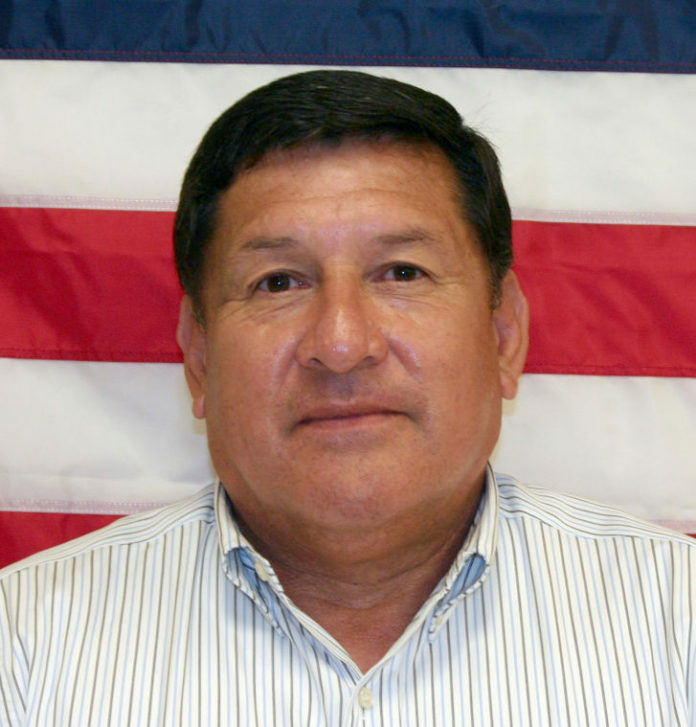 By a motion from recently elected Councilman Eloy Avila, the city council instead hired Araguz, one of two candidates for the position. The mayor only votes when there is a tie among councilmen. “I was shocked about it, but Donna moves in mysterious ways, politically wise,” Simmons said. The city council approved an ordinance establishing a partially paid fire department during a special meeting in July. Following the meeting, Donna City Manager Carlos Yerena said the city would transition to a partially paid fire department to “meet the future growth that we’re experiencing” in Donna. The move, however, comes at an expense. Earlier this year, the Donna City Council approved its 2018-19 budget, allocating $132,597 to pay its fire chief and firefighters — a $120,597 increase in funding from the previous fiscal year. The city had been paying Simmons only $12,000 annually. “I couldn’t even get money to buy equipment for my personnel when we were volunteers,” Simmons said. The city also contracted Harlingen Fire Chief Roy Rubio, who was paid $7,000 for consulting work, according Morales. Rubio assessed the feasibility of establishing a partially paid fire department in Donna. The city will pay the new part-time fire chief $15,000 annually, according to Morales. Simmons, a former mayor of Donna, said additional spending by the city could result in an increase in its property tax rate in future fiscal years. “They were able to squeeze by (this year), but next year they’re going to have to raise taxes,” Simmons said, adding that bridge revenue or budget cuts could offset an increase in spending. Yerena, the city manager, could not be reached for comment by phone or at city hall after the hiring of the new fire chief last week. “The only way we’re going to be able to attract some of the major businesses, cold storages and industrial businesses, is if we provide the fire services that they need,” Yerena said in July. The budget calls for 17 part-time paid firefighters, who will work alongside volunteers. The new fire chief plans to ramp up training within the department and instill a “people-first and safety” mindset, he said. “I was given the opportunity to help develop this department, and I decided to take on the task,” Araguz said.